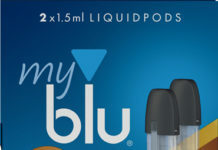 With the first milestone of the European Union’s Tobacco Product Directive just a few months away, leading e-cigarette brand, blu™, believes this will be good news for retailers and the fast growing UK electronic cigarette category. The regulation affects the marketing, production and sale of ecigarettes and will impact the UK retail landscape within which they are sold. The legislation comes in three stages with the first two stages putting the onus on the suppliers to comply. Retailers themselves only have to be compliant in what they sell by May 2017 so there’s no need to panic! 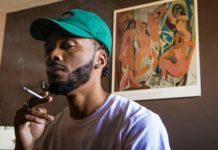 Marc Michelsen, SVP Communications and Public Affairs at blu, explains: “Traditional Tobacco is already a highly regulated industry, so many retailers may have heard the news of legislation reaching the e-cigarette category with dismay. However, at blu we welcome most of the changes – and we think retailers should too. We believe the legislation will improve the quality of products available in the market, leading to increased consumer trust and confidence in buying e-cigs. blu will be working closely with retailers throughout the next 12 months and beyond to ensure they are informed and well prepared to meet the required EUTPD deadline by providing legislation guides, offering information on how to clear noncompliant stock and making sure that blu has products in the market that are fully compliant at key times.